Every parent wants to have a special birthday chocolate cake recipe for his or her child on his or her 1st birthday. 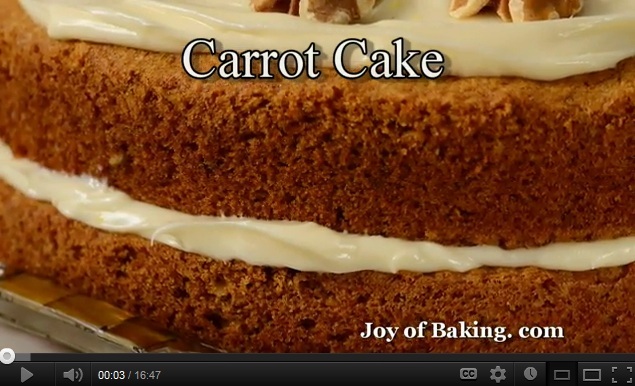 I recommend baking a cake at home so that you can be sure that it consists of all fresh ingredients. Here is one of the simplest 1st birthday cake recipes that you can easily make at home and does not contain much sugar. – This recipe is for angel food cake, therefore I always use an angel food cake tube pan. Have the cake pan ready. – In a small pan, combine the cocoa powder and boiling water. Stir until smooth. 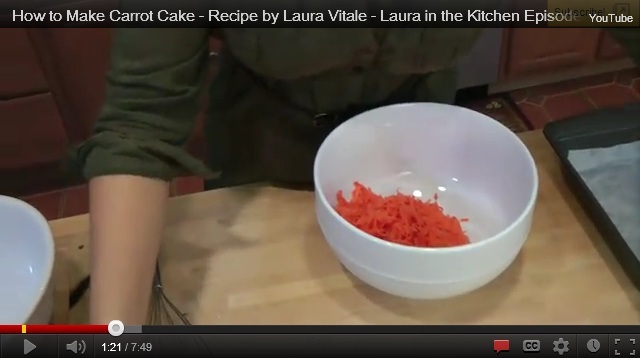 – Add the vanilla extract and let the mix cool. – In a separate bowl, whisk together 3/4 cup of sugar, flour and salt. – Take the egg whites in a large bowl and use a whisk attachment to beat the egg whites until foamy. – Add the cream of tartar and beat until the egg whites form soft peaks. – Add the remaining 1 cup of sugar and keep on whisking until you get stiff peaks. 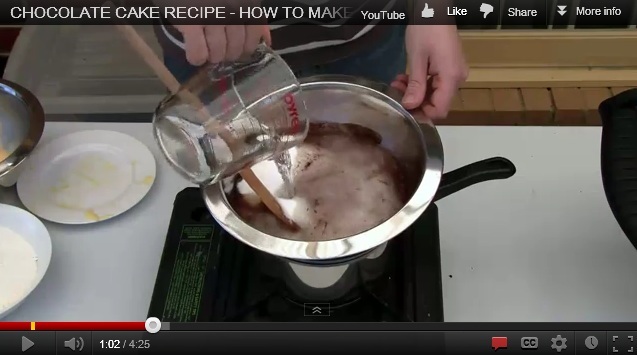 – Take 1 cup of the beaten egg white mix and add it to the cocoa mix. – Gently fold to lighten the mix. – Now use a large wire whisk to gently fold the dry ingredients in the remaining egg white mix. Do not over mix. 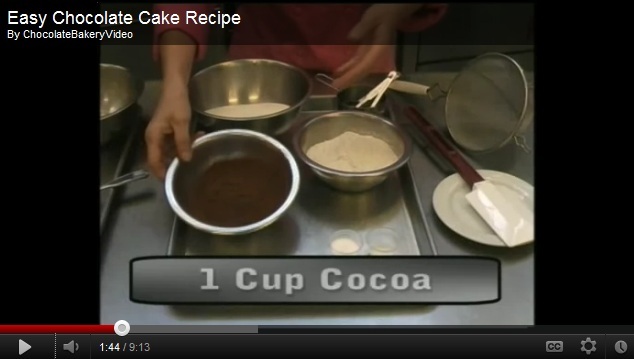 – Add the cocoa mix to the above mix. Do not over beat otherwise the cake will deflate. – Pour the cake batter in the angel food cake pan. – Gently run a spatula through the cake batter to take any excess air out. – Bake in the preheated oven at 350F for 40-45 minutes. The cake should spring back if touched. – Invert the cake pan immediately. This will prevent the cake from shrinking and deflating. – Let the cake cool completely before removing from the pan. You can easily store this cake in the fridge for about a week without spoiling. – Slice the cake in half horizontally. – Slice the bottom half of the cake in 12-14 thin slices. – Tear the top half in small pieces. – Line a 13×9 inch baking dish with parchment paper. – Place the slices in the baking dish to cover the whole bottom. – Spread the yogurt on the cake slices and smooth out as you go. Press lightly. – Press the small pieces of the cake on the top. – Before serving, add the sliced fruits on the top. – Cut in squares to serve. Coffee cakes became very popular in America in the late 1800s. It was not invented but has evolved as a combination of various styles of baking and native ingredients. Banana cake recipe are served with coffee, breakfast and even as desserts. Here is a simple banana coffee cake recipe with chocolate chip streusel that takes only 1 hour and 5 minutes to prepare. – Grease an 8×8 inch cake pan and lightly dust the insides with a little flour. – In a clean bowl, take the dark brown sugar, chocolate chips, chopped walnuts and ground cinnamon and mix well. Your streusel is ready. – In a separate bowl, take the flour, baking soda, baking powder and salt and mix well. – In a mixing bowl, cream the butter and add the sugar to it. Blend well. – Add the eggs and bananas to the mix and beat well using an electric mixer. – Add the buttermilk and combine well. – Add the flour mixture to the egg-buttermilk mixture, one spoon at a time, and mix well after each addition. – Take the greased cake pan and pour half of the cake batter in the pan. – Sprinkle half of the streusel over the batter. – Add another layer of cake batter and sprinkle the remaining streusel over it. – Bake in the preheated oven at 350F for about 45-50 minutes. – Remove the cake from the oven and cool in the pan for 10 minutes. – Cut the cake in little bars to serve. The traditional streusel cake has only two layers but I make my own version with multiple layers. To do so, I use a silicone cake pan because they do not require any greasing. – Layer a thin layer of cake batter at the bottom of the cake pan. 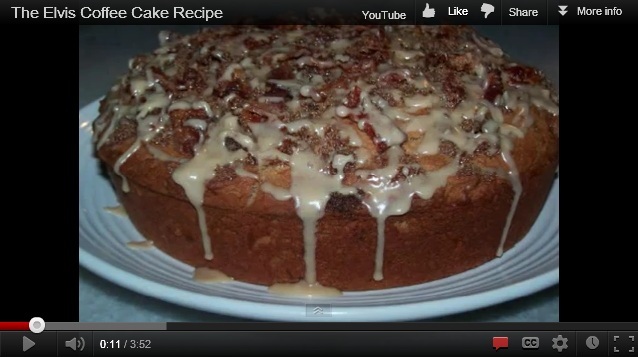 – Sprinkle some of the prepared streusel over it and then add another thin layer of cake batter. – Repeat the steps until you get a nice layered cake. – Bake in the preheated oven for 45 minutes.